Though, I'm still finding some time to create! Yay! 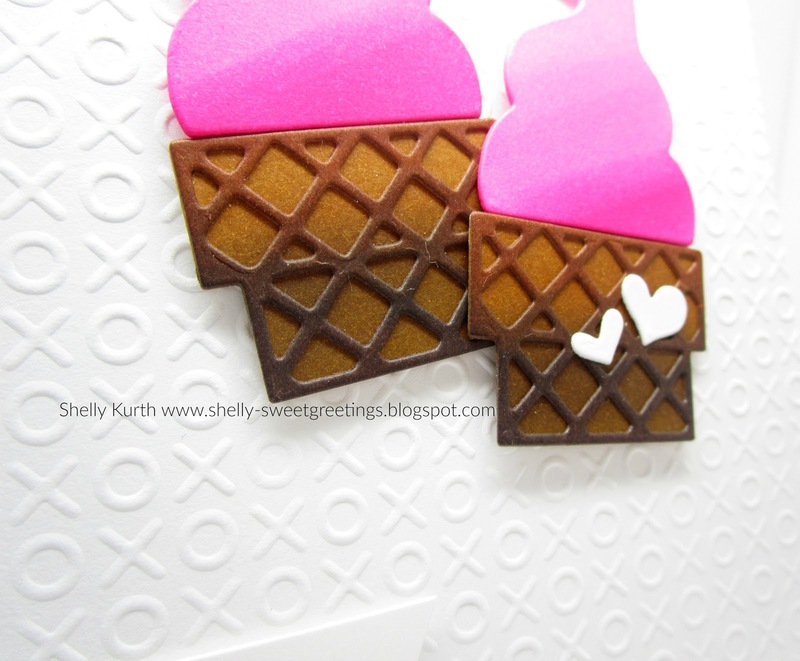 :) I did make this card for the Current Paper Smooches 'Hearts' Challenge. Well, I guess that's enough of me chatting for the day (or evening here). P/s: I love coconut and mango ice-cream! 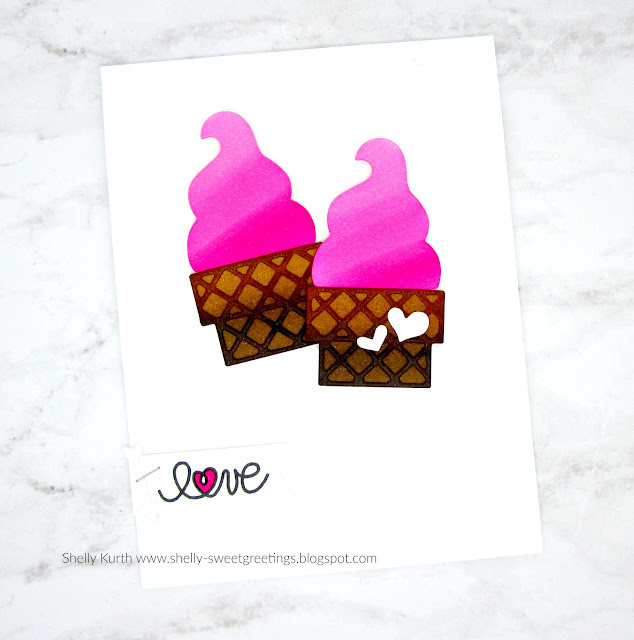 What a fabulous card- it's simple, neon, and AMMMMMMMAZING! I think it's weird that many people (me included) eat ice cream in the WINTER!!!!! I am usually cold (always wearing a sweater) but I still pull out that tub of ice cream each night! LOL! 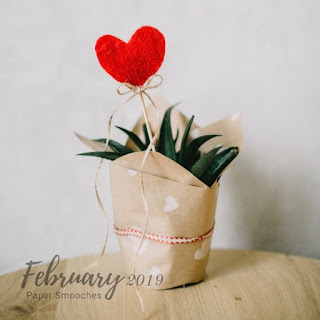 <3 Thanks for joining in the fun with our February challenge!